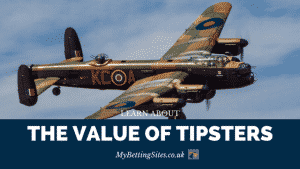 Those both new and old to betting will find value in the learning section of our site. There are three main sections. Our betting fundamentals articles focus on the very basics of gambling. Reading these will give you a good foundation of knowledge. Our most popular article. 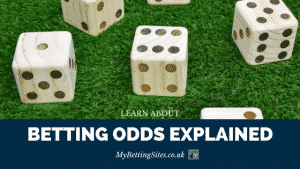 Learn how betting odds work. Understand the difference between fractions and decimals odds. You will be able to calculate how likely a selection is to win, and any potential winnings. Revealed – are you more likely to win if you follow betting tips? Or are you wasting time and money trying to subscribe to a tipster? This article helps uncover the truth to prevent you wasting money. Each way betting is a popular way to bet on horse racing. Discover what makes it so popular, and exactly how it works. Learn how to read a betting market, and how to calculate possible winnings. Handicap betting can make games more equal and create new betting opportunities. Give one of the selections a head start to make the match more even. 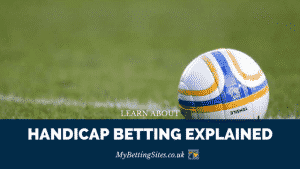 Find out how betting handicap works. A straight forward introduction to laying bets. 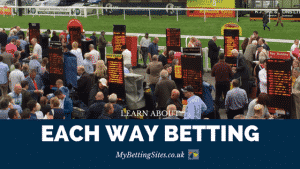 Quickly learn what laying a bet means, and how betting exchanges work. Play the role of the bookmaker and bet on something to not happen by laying a bet. Full cover betting is a ‘packaged’ approach to betting. You make one bet, and the bet itself consists of a group of bets. It consists of all possible multiple combinations between each of the selections. Each one has a nickname and is found below. A Trixie bet consists of four bets on three different selections. In this article, we provide a breakdown of the four bets. An infographic shows how the multiples across all the selections work. 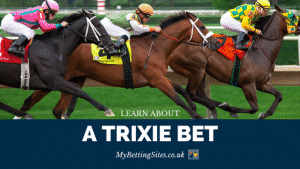 You will learn how to place a Trixie bet and increase your chance of a return. A Yankee bet consists of 11 bets on four different selections. Understand how a Yankee works with our visual listing of all 11 multiples bets. Find out the advantages of placing a Yankee bet versus a traditional accumulator. 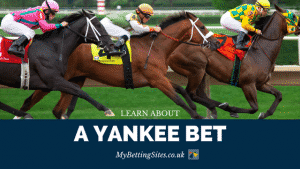 Also known as a Canadian bet, a Super Yankee consists of 26 bets across five different selections. Provided is a breakdown of the 26 bets. An example shows how many winning selections might be needed for a Super Yankee to be profitable. 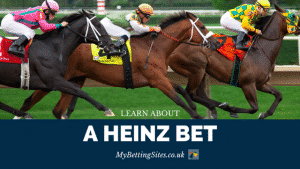 A Heinz bet consists of 57 bets across six separate selections. 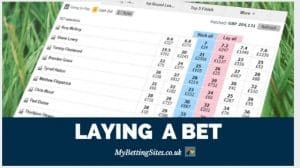 The 57 bets are broken down and explained in this article. An example reveals how many selections may need to win for a profit to be achieved. A Super Heinz bet consists of 120 bets across seven different selections. Discover the advantages of a Super Heinz, and what the 120 bets consist of. An example attempts to illustrate how many selections must come in for a profit to be achieved. This is one of the largest bets you can place. A Goliath bet consists of an incredible 247 bets across eight selections. Find out what makes a Goliath bet so appealing, but also why it may be better reserved for more experienced punters. These bets are also full cover bets, but also feature singles within the bet. Again, each type of bet has a nickname and is explained below. A Patent bet consists of seven bets across three different selections. Discover out how a Patent bet works, and how it differs to a Trixie Bet. A visual guide provides an easy to understand breakdown of the seven bets. A Lucky 15 bet consists of 15 bets across four different selections. Find out more about this popular bet with an infographic breakdown of the 15 bets. The article covers some of the advantages and disadvantages of a Lucky 15. A Lucky 31 bet consists of 31 bets across five different selections. This article covers the advantages and disadvantages of a Lucky 31. An example shows how many winning selections might be needed to achieve a profit. A Lucky 63 bet consists of 63 bets across six different selections. Our example shows how many selections need to land in order for a Lucky 63 to be profitable. Find out the appeal of this popular and how to place your own Lucky 63.